Register by October 2nd to make sure you get your Scarecrow Classic Tech Shirt! Amenities after the race include cider donuts, soup, live music, and a raffle. The Scarecrow Classic 5K is celebrating its 6th year running! Join us on Sunday, October 14, 2018 in beautiful Lincoln, Massachusetts. 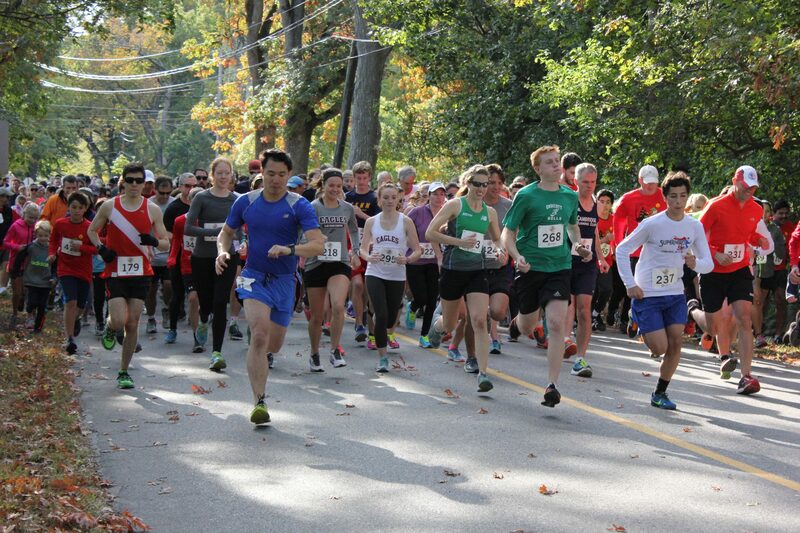 The 5K course winds through the scenic roads, fields and trails of this historic New England town. Last year we had an enthusiastic crowd of more than 550 participants who loved the varied terrain and beautiful scenery of the course. Proceeds from this event support the Lincoln Land Conservation Trust (LLCT). LLCT helps manage over 2000 acres of land and nearly 80 miles of public trails as a regional recreational resource for the Greater Boston Area. New this year! Bring your own water bottle! Last year LLCT worked to reduce the use of single-use plastic water bottles at the race and that effort is continuing this year. Please bring your own, water-filled bottle to the race. (We hope to see lots of Scarecrow Classic water bottles from last year’s race!) Place your water bottle at the finish line ahead of time and it will be waiting for you post-race. LLCT will provide labeling supplies as needed, a hydration station for re-filling bottles, and limited emergency water supplies for those without a water bottle. New this year! LLCT is continuing to green the race by adding composting this year. City Compost will compost all the food, dishes, and utensils at the race! That means your cups, spoons, bowls, and napkins will all be composted. The final composted material will go back into the soil to grow food in Massachusetts. Plus, support our great sponsors who help make this race possible!